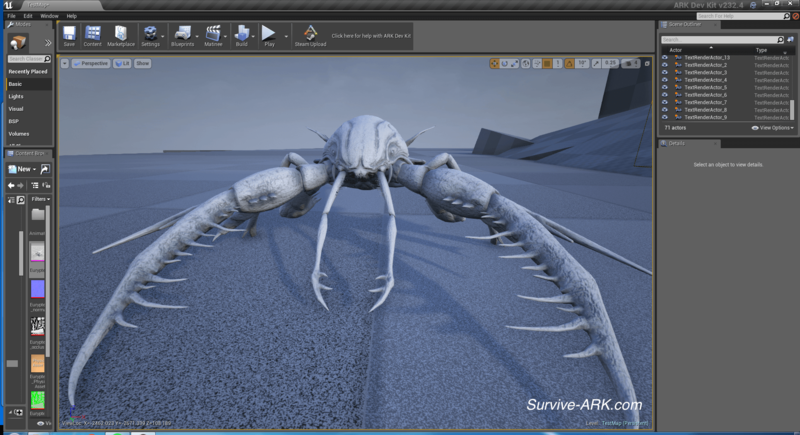 A small dev kit update was released today, which means that we are able to show you some more upcoming creatures and items. It is not that much, as the dev kit update only includes a single version, but it is always nice to see what’s on the roadmap of the devs. 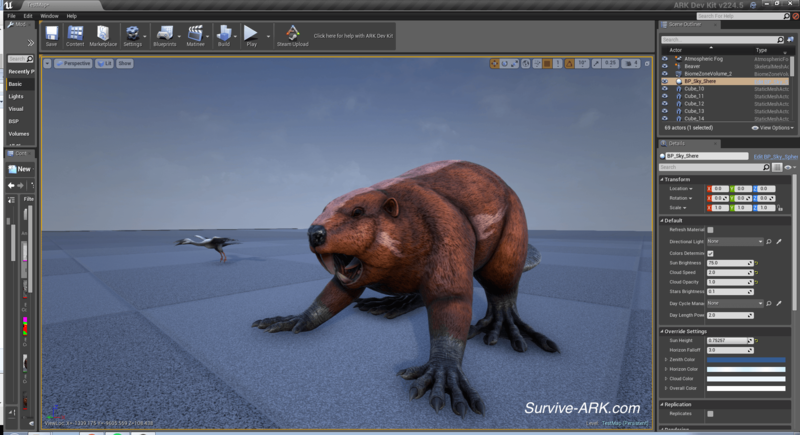 The giant beaver has also been updated, as it now has a fur coat. The last picture is from a previous preview without the fur coat, so you can see the differences. The island will eventually get more diversity in landscape, which includes different trees. 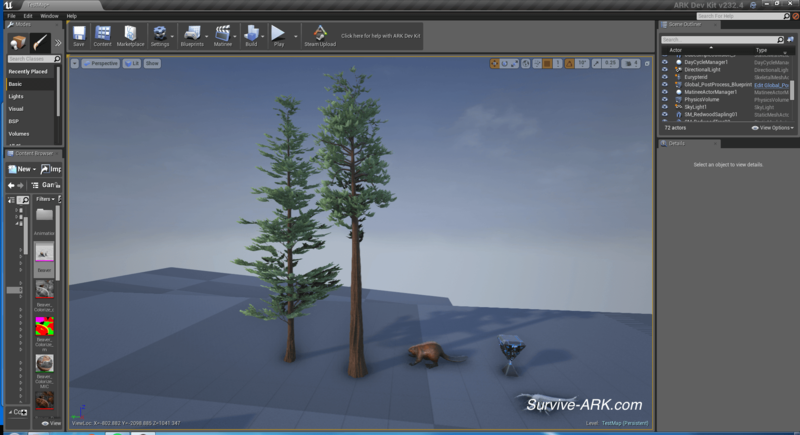 One of the things that is now present in the dev kit, are two types of red wood forest trees. Will this mean we are getting an update on the trees in the near future? Lets hope so. The two new caves, located in the swamp and presumably in the ocean around the northern icy parts, will have its only supply crates. 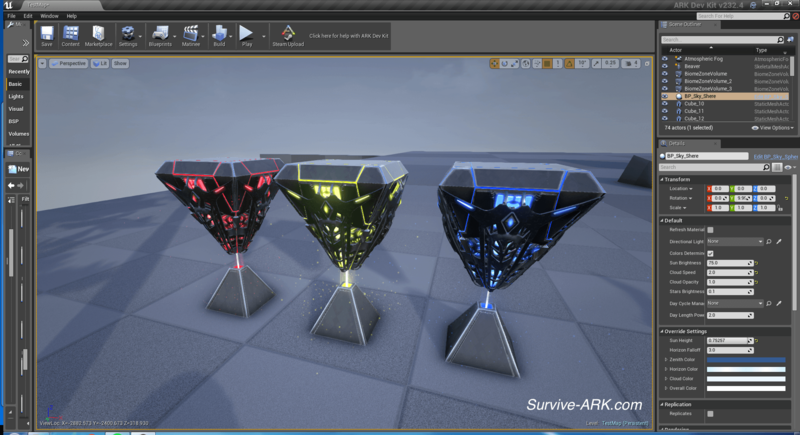 They look the same as the crates found in the other caves on the island, but we still wanted to let you know which colors you will encounter there. So it seems that blue, yellow and red supply crates will be available. Presumably these will have the same level requirements as those in the already present caves. Ah! 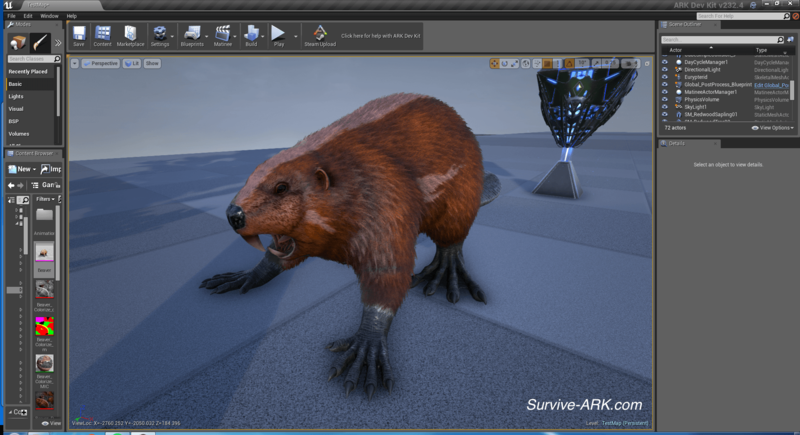 So excited for the beaver. Ever since it’s dossier was released in june i’ve longed for it. And for the eurypterid’s blackpearl.. Nice! Personally, i cant wait for the grappling hook to reach XB1! The different colors are probablyartifacts for the different bosses because each boss will be summoned at a different obelisk (green-broodmother, blue-megapithecus, red-dragon), so this will probably carry over with the crates containing the artifacts. Also, redwood forests have been confirmed for a long time, as well as deserts. 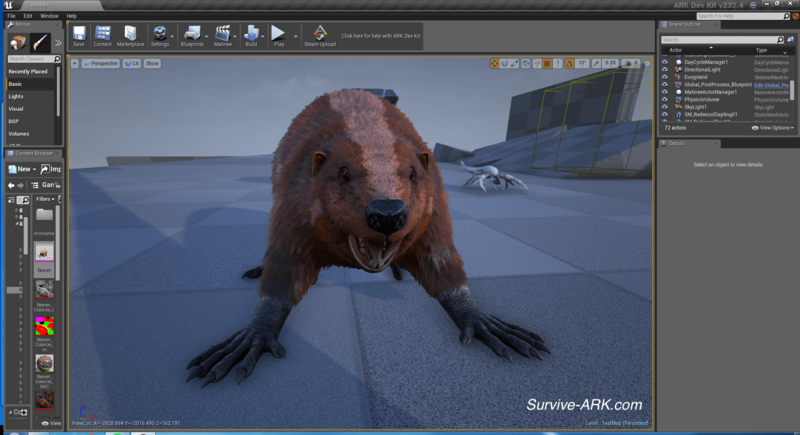 How big will the beaver be? It is next to a crate in one screen, which makes it look small, less than frog size. Then it is next to the seagull bird which makes it look a lot larger, maybe like phiomia size. 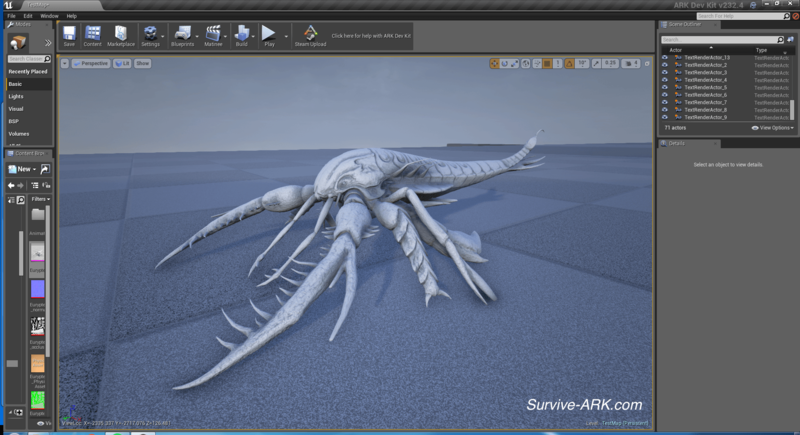 Does the devkit say how big the creature actually will be? 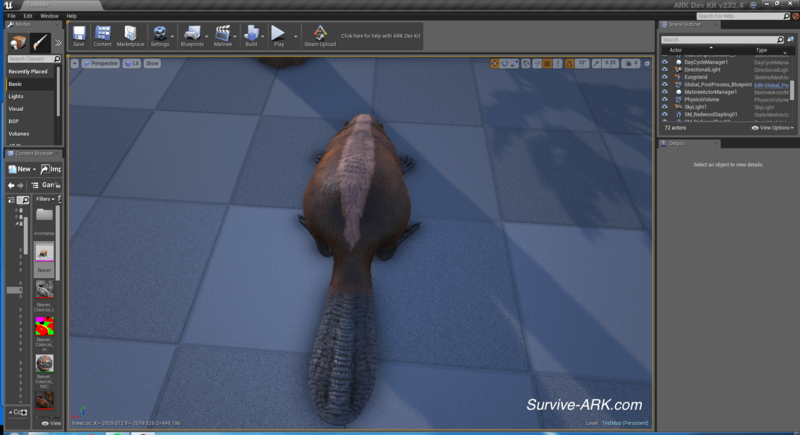 Unfortunately, the devkit doesn’t give a good indication of the actual size the beaver will be. We’ll have to wait for the new patch to find out. 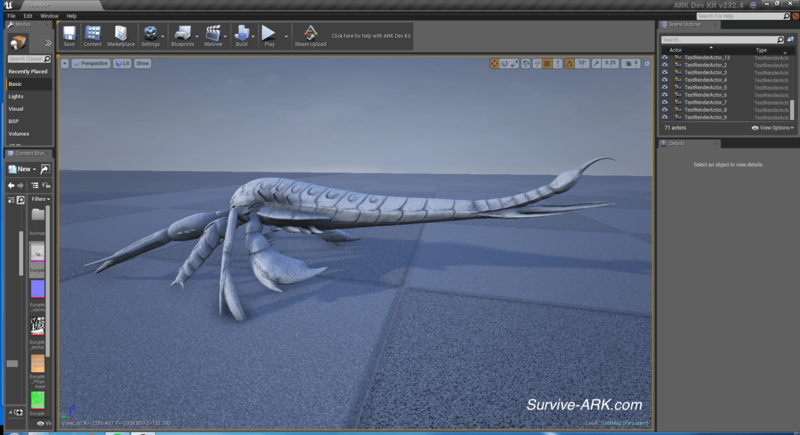 Do you know any other environments and/or foods that will soon come to the mysterious island of ARK?